The goal for treatment of DVT is to prevent the blood clot from getting bigger and breaking loose, as well as to reduce the chances of another DVT (about one-third of DVT patients will have a recurrence within 10 years). Treatment can include anticoagulation medications (blood thinners) and graduated compression stockings. Among people who have had a DVT, one-third experience something called post-thrombotic syndrome, or PTS. Symptoms of PTS include swelling, redness, chronic leg pain, and ulcers. PTS can be expensive to treat and the pain and discomfort it causes can make it extremely difficult for people to get around. Those with DVT should wear graduated compression stockings on a daily basis, since several studies strongly suggest that they can significantly reduce the likelihood of developing PTS. In fact, according to the American College of Chest Physicians, wearing compression stockings for two years following DVT reduces the incidence of post-thrombotic syndrome by half. Unlike insufficiency in the superficial venous system, there is no FDA-approved treatment for PTS besides compression stockings and supportive care. Of course the best way to prevent PTS is to never have a blood clot in the first place. If you think you might have a DVT, get to the emergency room as soon as you can. In most cases, the affected area— usually in the leg— will be painful, swollen or tender, with a redness or discoloration of the skin. Even a muscle cramp that feels especially sharp and painful can be an indication of DVT. Early detection can go a long way toward preserving your quality of life-- or even saving your life. In addition to managing both acute and chronic DVT, compression can be a tool for prevention. When there are risk factors for DVT, such as long distance car or plane travel, immobility, or pregnancy, wearing compression stockings can reduce its occurrence. What do we mean by compression? Graduated compression stockings provide a gradient of pressure against the leg. The pressure is highest at the foot and ankle and gradually decreases as the garment rises up the leg. This pressure gradient makes it easier for the body to pump blood up towards the heart (the normal direction) and more difficult for gravity to pull blood downward. Compression stockings require a prescription and can be purchased at many pharmacies, most major medical supply stores, and specialty stores. Your doctor can tell you if you need knee-highs, thigh-highs, or a “pantyhose” style. These days, compression stockings are fashionable, comfortable, and come in a wide variety of styles and colors. Though modern compression stockings usually look like socks or tights, putting them on can be a challenge. It’s important to note that “TED hose”— the “anti-embolic" stockings that are often worn after surgery to help prevent DVT— are not the same as graduated compression stockings. TED hose work well for patients who are bed bound, but won’t offer much benefit to patients who are up and walking. There are many benefits to using graduated compression therapy besides reduced risk factors for DVT, but be sure to consult your physician first. Compression is not appropriate for all patients and can actually have adverse affects on patients with peripheral arterial disease. To learn more about DVT, read our previous posts. Last week we described what DVT is and who is at the greatest risk for getting one. Now let's look at the most common symptoms to watch out for. In most cases, the affected area-- usually in the leg-- will be painful, swollen or tender, with a redness or discoloration of the skin. Even a muscle cramp that feels especially sharp and painful can be an indication of DVT. DVT is a medical emergency, so any symptoms should be regarded as a DVT until proven otherwise, especially if someone is in a risk category. It's important to note that about half of the time, DVT has no symptoms at all. The good news is that DVT can be prevented! And because DVT can occur with little or no warning, the best action to take is prevention. Without preventive treatment, for example, up to 60 percent of patients who undergo total hip replacement surgery may develop DVT. Understand your level of risk, and talk to your doctor about DVT, especially if you're in a high-risk group. Maintain a healthy weight, eat a healthy diet and don’t smoke. Move around as soon as possible after surgery, illness or injury. Even passive movement helps. When traveling or sitting for more than four hours get up and walk around every few hours and exercise legs while sitting. Drink plenty of water and avoid alcohol or caffeine. To find out more about DVT symptoms and prevention, go to www.stoptheclot.org. More than 1,240 Mainers succumb to DVT- (deep vein thrombosis) and PE-related (pulmonary embolism) deaths every year, according to the Mayo Clinic. And this estimate is likely on the low side. In fact, the annual mortality rate of blood clots is greater than yearly deaths in the U.S. from breast cancer, AIDS and automobile accidents combined. Though most people know about these issues, DVT is still under-recognized. March is DVT and Blood Clot Awareness Month. It's a chance for the medical community to educate the public about a medical condition that affects approximately two million Americans annually. All month long we'll be taking a closer look at DVT: what it is, who is at risk, and what you can do to prevent ever getting one. So what is DVT? 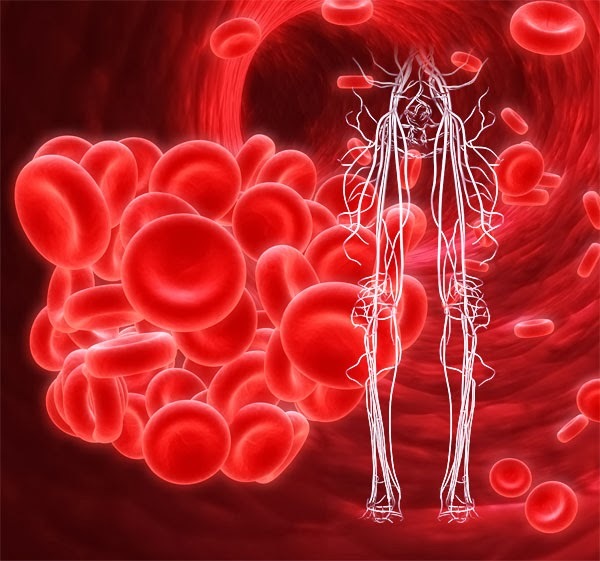 Deep vein thrombosis (DVT) is a blood clot in the deep vein system. 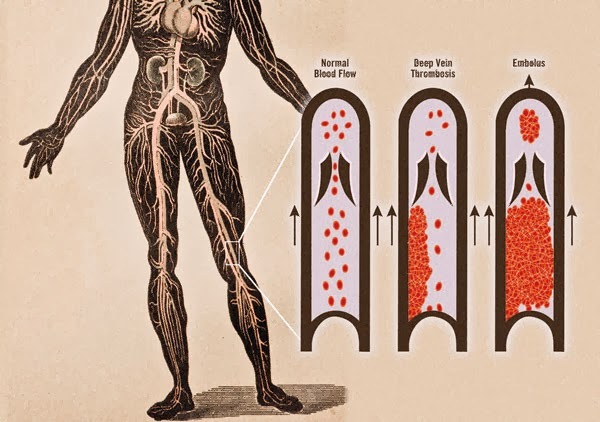 The danger is that the clot could break free from the vein wall and enter into the blood stream. The clot could then travel to the lungs and become a PE (pulmonary embolism), or to the brain and result in a stroke. DVT-related PE is the leading cause of preventable death in U.S. hospitals. Anyone can get a DVT and at any age. Certain groups, however are at a greater risk of developing a life-threatening blood clot. This is, by no means, a complete list of risks, and it's important to remember that risk factors can be compounded. For example, combining an existing blood clot disorder with immobility can dramatically raise the risk of deep vein thrombosis. Having risk factors does not mean that you will surely get a DVT-- rather, you should be proactive about prevention. Take this month to learn more about DVT, take an online risk assessment, and ask your physician if you may be at risk.